In the mid-90’s, in the cold, bleak north of Seattle, Washington two friends in their mid-20’s were being influenced by the Melvins’ behemoth dirge and Earth‘s mammoth brand of expansive, glacial, guitar based soundscapes. Greg Anderson and Stephen O’Malley, of Thorr’s Hammer and Burning Witch, would tread their own paths after the demise of those bands, only to be brought back together in Los Angeles in 1998. In a new city, at the dawn of a new decade, the two would form a new band (sunn O))) ) and launch Southern Lord Records with the vision of releasing these recordings of their works. 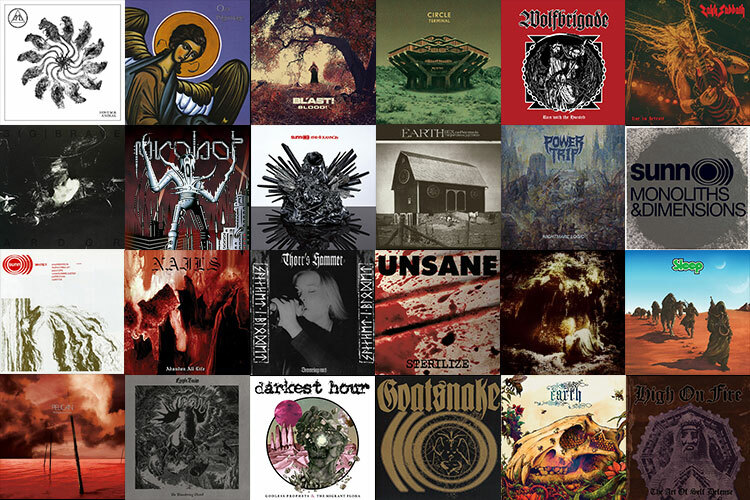 Over the years Southern Lord has the incredible honor of releasing albums from cult legendary bands: Electric Wizard, Sleep, Magma, Unsane, Darkest Hour, Grief, Saint Vitus, BL’AST!, Winter, Wolfbrigade, Poison Idea, Pelican as well as iconic, monumental artists: Dylan Carlson (Earth), Wino, Dave Grohl (Probot), Zakk Wylde (Zakk Sabbath), Josh Homme (Desert Sessions). We are extremely proud to have been a part of the developing rise of several bands who are now part of the essential fabric of the underground: Wolves In The Throne Room, Nails, Boris,Power Trip.